The Singer - that is what Laurel has always been. From early elementary school days going to singing lessons, to high school days being a part of the school choir, anyone who knows her, knows that singing is what Laurel does. With 10 years of vocal training under her belt, and experience performing on small stages in coffee shops, to singing a solo at the Jubilee Auditorium, there is nothing else in this world Laurel would rather be doing. In the summer of 2016, Laurel was a semi-finalist for the Chevy Tailgate contest. During this time, she not only got to sing live at Big Valley Jamboree, but she also got interviewed by Paul McGuire and had her interview and original song aired on CMT! Some highlights of 2017 include: Being featured and interviewed on CJSW 90.9 FM on October 29th Headlining performer at the "Dream in Color Charity Event" at Midtown Kitchen & Bar on November 4th. 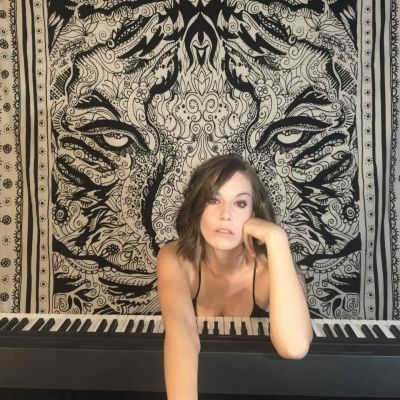 Being highly influenced by amazing artists like Ed Sheeran, Adele and Sarah McLachlan, Laurel strives for her sound to be genuine and sincere.